If you haven't yet reached your tipping point for Gritty content, and also you like beer, we’ve got good (and bewildering) news. Broken Goblet Brewing, a brewery located in Bristol, Bucks County, is unleashing a beer inspired by the beloved, and reviled, and all-around-obsessed-over new Philadelphia Flyers mascot, Gritty. It’ll be called Nightmare Fuel, and the brewery describes it as a cream ale brewed with vanilla and bruised oranges. Get it? It’s funny because Gritty is both orange and insane. The brewery is also teasing that “very special limited edition crowlers,” which are a cross between a growler and a can of beer, will be released on the same day as the beer: Saturday, Oct. 13. The brewery said in a comment on its Facebook page they’ll have pictures of the crowlers in the next few days, so you can decide whether your Gritty Fever has subsided or if you’ll be picking some up as part of pledging your lifetime loyalty to the religion of Gritty. 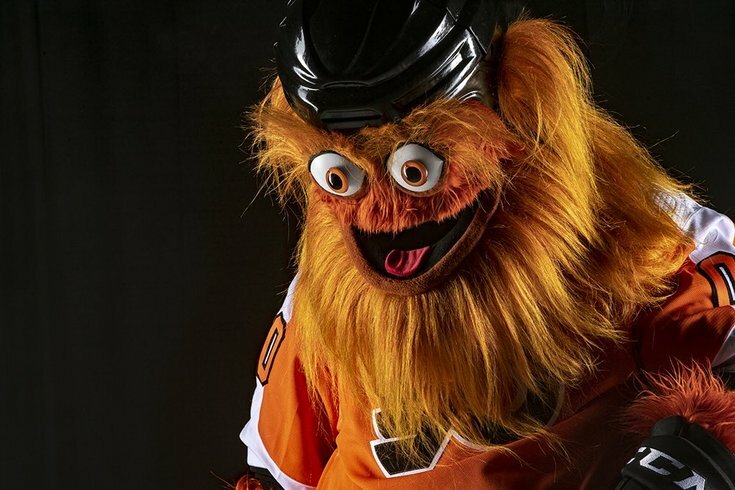 It’s been a truly captivating first 48 hours for Gritty. What’s next? No one, not even Gritty, knows.